The full results, plus the passion of Philadelphians? It now becomes obvious that, besides Obama and McCain, other candidates received votes. Most notable is 3rd place candidate Ralph Nader, who received over 660,000 votes! For the record, this would make the fictional Nader Nation the 48th most populous state, between Alaska (population: 683,000) and North Dakota (population: 639,000). 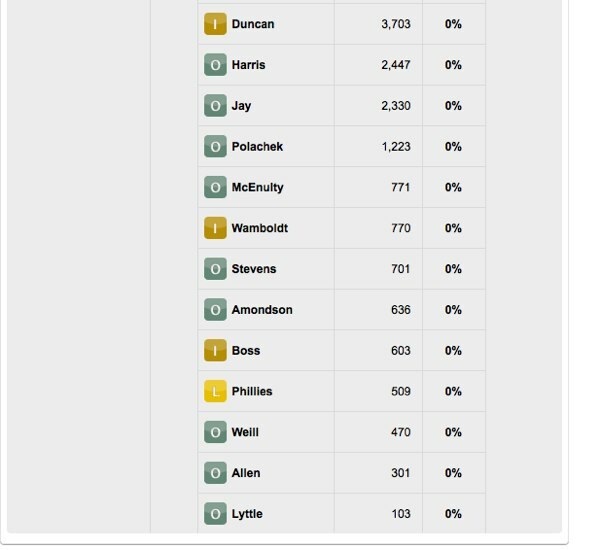 It would be great if “Phillies” was the result of write-in votes from 509 citizens of Philadelphia, where we are still in a daze from last week’s World Series victory, which ended a 25-year championship drought (perhaps you heard something about this?). But, alas, there is actually a candidate named George Phillies, who was running in New Hampshire on the Libertarian ticket. Perhaps Mr. Phillies would have had more luck if he had registered for the Pennsylvania ballot; no doubt more than a few Philadelphians would have been so excited that they would have voted for Phillies out of sheer passion! I think I have my running mate for my campaign in 2020; hopefully the Phillies’ dynasty is fresh off of winning its 13th straight World Series! 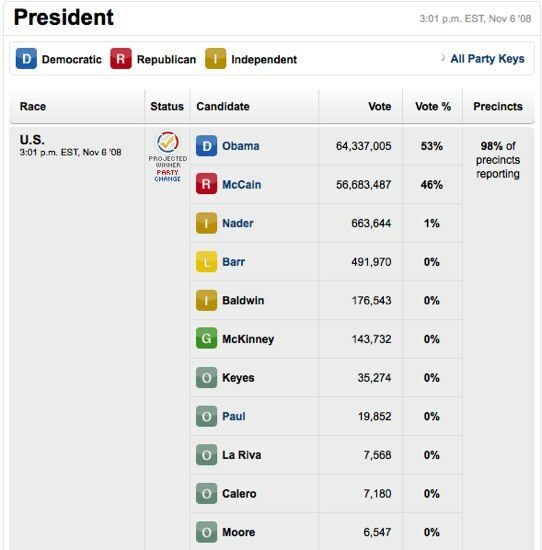 In other news, I am still waiting to see CNN’s coverage of the concession speech by Bradford Lyttle of the United States Pacifist Party, the 25th highest vote getter (103 votes). Next Next post: Hmm…this smells fishy!